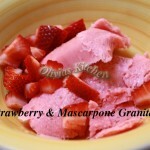 In a food processor , puree the strawberry until smooth . Meanwhile , cook the mint leaves , water and sugar , bring to a boil , simmer for 5 minutes to steep the mint leaves . Remove the mint leaves from the simple syrup . 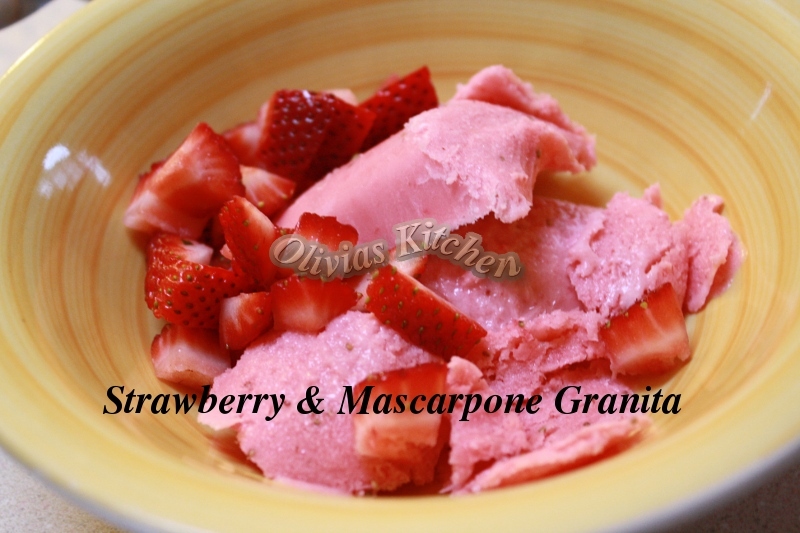 Add mascarpone cheese into the pureed strawberry and add the pinch of salt , fresh lemon juice and cheese , mix well .. add the simple syrup . Pour into 8×8 dish , and freeze at least 4 hours .